Meba Electric Co.,Ltd located in the “Chinese electrical appliances capital” — Liushi town Yueqing city Zhejiang Province, is a professional production and sale of high and low voltage electrical equipment, transmission and automation components and switch lighting equipment, power distribution equipment, industrial enterprises. The products are widely used in electric power, construction, aerospace, aviation, petrochemical and other industries the relationship beneficial to the people’s livelihood. The product adopts foreign precision machining equipment, technical indicators have reached the USA, Germany, technology and quality standard of advanced industrial countries such as Japan, sold to the world more than 30 countries and regions. The company was founded in 2006, focusing on high quality circuit breaker, AC Contactor, distribution box R & D, Fuse, Relay, Pushbutton and Electrical Accessories,Digital Vernier, Digital Depth Gauge, Center Distance, Outside Groove Digital, Inside Groove, Tube Thickness, Single Hook Digital, Double Hook Digital, Waterproof Digital, Dial Depth Caliper, Dial Caliper, Depth Vernier, Vernier Caliper, manufacturing and sales. 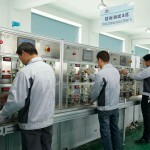 The company has a research and development, production and sales of high-quality staff team, technical team of R & D each year three to five high-tech products, dozens of senior engineer strictly control every production process, ensure to provide safer, more reliable, more quality products for customers. The Meba created it’s brand “Meba”,which has been registered in the Trademark Bureau USA, products through the ISO9001, TUV, BV, INMETRO, CE, SEMKO, CB, CCC and other international authoritative certification. The customer are in South America, the Middle East, Eastern Europe, Africa, Southeast Asia and other countries, the annual exports volume are about 8000000 dollars. 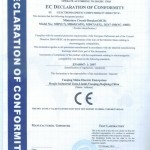 Meba mission: To provide the most reliable for the global industry, low voltage electrical components of green. Meba values: Customer is not only our partner, is also our most intimate friends. 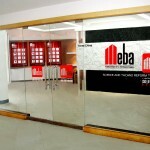 Meba promises: It is trusted by customers. Timely finish each order. The company specializes in products dedicated, professional production of high-quality circuit breaker, AC Contactor, distribution box, Fuse, Relay, Pushbutton,Electrical Accessories and so on. The Meba greatly enhance the enterprise equipment and production level ,through the automated production technology and modern warehousing management technology at home and abroad, precision machining equipment. Advanced technology and equipment, to guarantee the product quality, enhance the international competitiveness of the products. 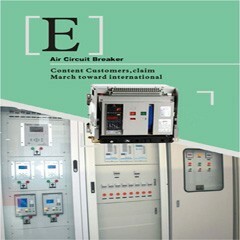 The circuit breaker,distribution box AC Contactor through the BV, CE certification, have CB test report. At the same time, the product also has a SGS factory inspection report. Our products in the factory have a strict quality detection, fully in accordance with the ISO9001 quality management system operation, the continuous optimization of the process, strictly control every production process, to ensure the high precision and high quality customer requirements. The professional production of high-quality circuit breaker, AC Contactor, power distribution boxes and other products are widely used in electric power, construction, aerospace, aviation, petroleum and chemical industries. Design of safety and humanity, high quality and reliable price make Meba brand, praised by the majority of customers, has established the leading position in the South America Meba, Middle East, Africa and Southeast Asia. In addition, the Meba keeps up with the pace of the international sales, and continues to explore the international market by e-commerce sales platform, and now has a set of advanced and perfect marketing network system. The Meba will provide quality and efficient pre-sale, sale, after sale for your service, we guarantee that any customer within 24 hours to receive timely feedback. In addition. 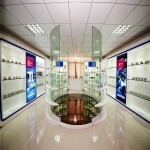 The Meba also provides special services: We will update each progress of the production orders to customers, graphic design team according to the different needs of customers design and exquisite packaging styles, strong technical team in product development at any time to provide customers with the best technical support. The Meba provides low-voltage electrical energy saving and environmental protection for the global, and actively fulfills enterprise citizen responsibility. 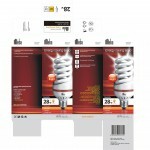 It makes sustainable long-term commitment to the development of social economy and environment, lets our high quality products provide safe and energy-saving guarantee of electricity use for every home and business .